Toyota has been expanding its popular line of hybrids recently. They first introduced the Prius V—a larger Prius in the form of a wagon. 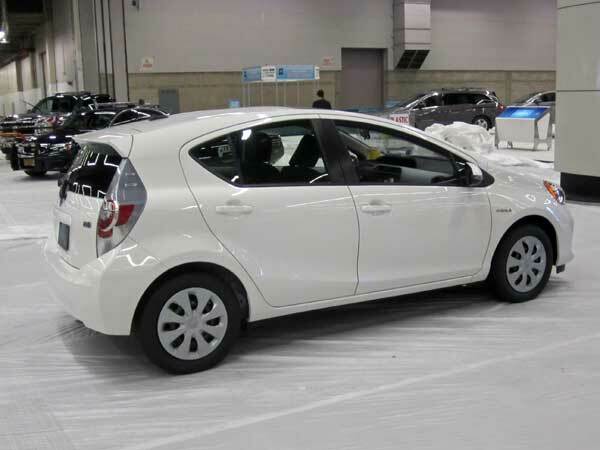 Toyota is also going the smaller direction with the all-new Prius C. Based on a stretched Yaris chassis, the Prius C (the "C" stands for "city") has very familiar exterior dimensions, and even appears to share a few parts with the Yaris, such as the rear cargo interior panels. Under the hood is a 1.5-liter gasoline engine and electric motor producing of 99 horsepower, and mated to a CVT. The car weighs around 2,500 lbs., or roughly 500 less than a standard Prius. 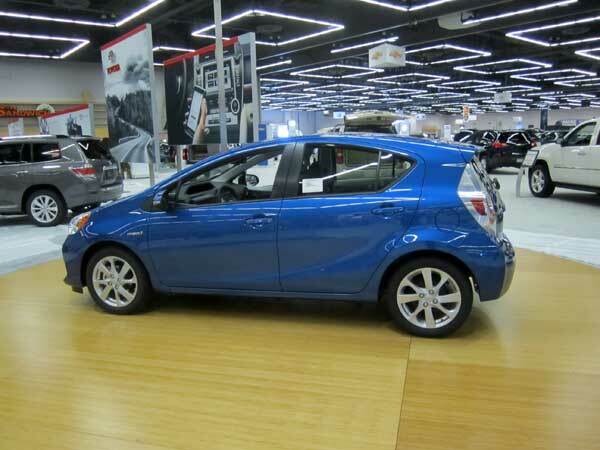 Toyota is saying the Prius C will get as much as 53 MPG and can cost under $19,000. Those are pretty good numbers, and higher than a Prius sedan. The car's interior is unique to this model (e.g. 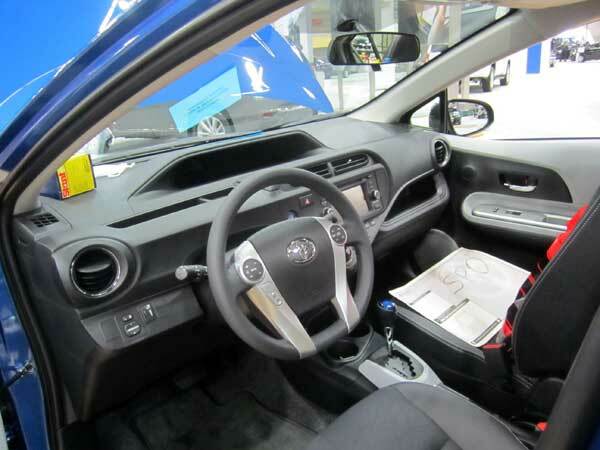 it's not just a Yaris interior). I'm not a huge fan of the upper gauge opening, but that's just me. Overall, it's not bad at all. Both front and rear seats offered plenty of comfort for my 5'7" frame, and my 6'0" friend Scott agreed. The Prius is a very popular vehicle here in the Pacific Northwest, and I'd expect this Prius C to continue nameplate's popularity. I've seen quite a few Prius Vs around already, and won't be surprised to see scads of Prius Cs around Portland in the near future. 53mpg while impressive to some just seems mediocre to me for a hybrid. I mean, 53 city 46 highway for the c and 51 city 48 highway for the sedan is kinda pathetic considering how much smaller the c is. I would have expected the c to get more like 60 city 51 highway (do you see those numbers? they look like the numbers from the 2005 Prius sedan on the old EPA cycle) in order to make it worth the lack of space.